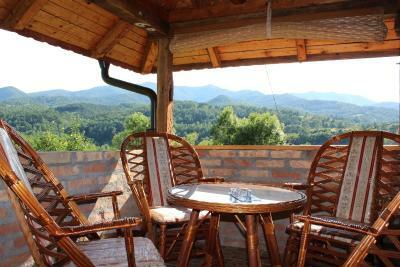 Lock in a great price for Ethno Village Bogut – rated 8.9 by recent guests! 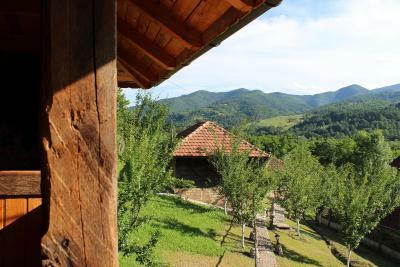 Ethno Village Bogut is located in Bogutovac, 2.5 mi from regional road M-22 and 14 mi from Kraljevo and offers 3 wooden cottages and a restaurant. 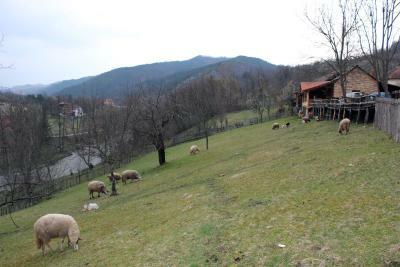 This small farm is nested between a mountain river and characteristic Serbian countryside landscape. 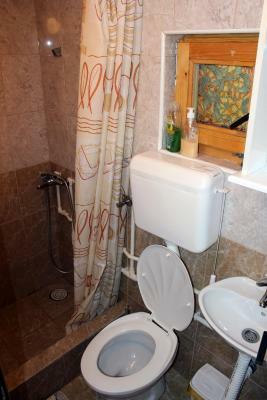 All accommodations units include a private bathroom with a shower. 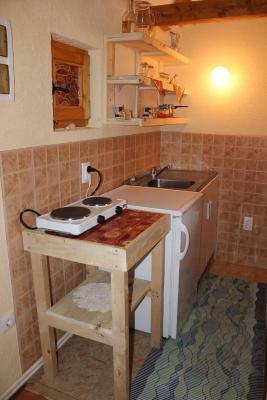 Towels and linen are provided, and some units come with a kitchen. 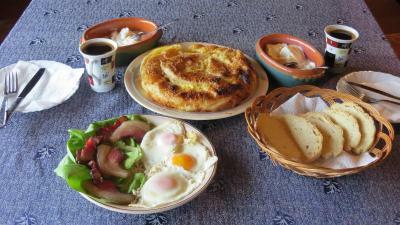 Traditional Serbian breakfast is served each morning. The property offers a large garden with free-to-use BBQ facilities. Free private parking is also possible on site. 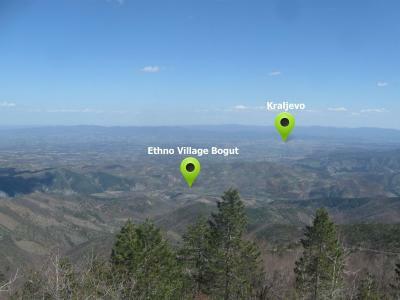 A number of activities are offered in the area, such as cycling, hiking or paragliding at Troglav or Stolovi mountain. 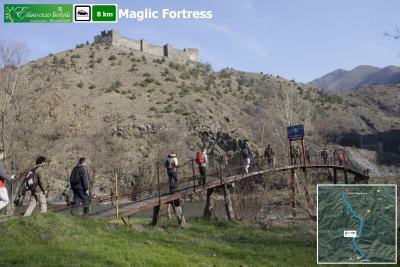 The medieval fortress of Maglič is 5 mi away. 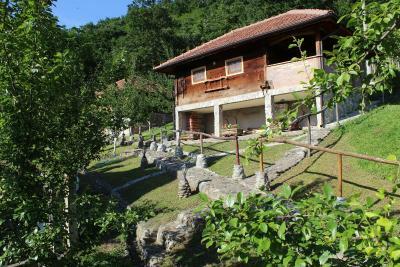 This property also has one of the top-rated locations in Bogutovac! Guests are happier about it compared to other properties in the area. 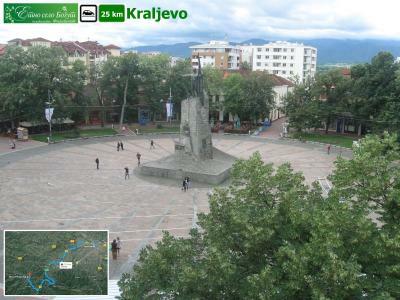 This property is also rated for the best value in Bogutovac! Guests are getting more for their money when compared to other properties in this city. 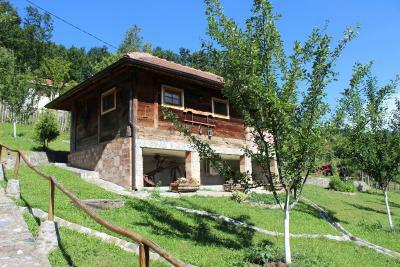 When would you like to stay at Ethno Village Bogut? The cottage features 3 twin beds, a furnished terrace, a kitchen with a dishwasher, and a bathroom with a shower. The family bungalow features 2 twin beds and a queen size bed, as well as a furnished terrace, a kitchen with a dishwasher, and a bathroom with a shower. 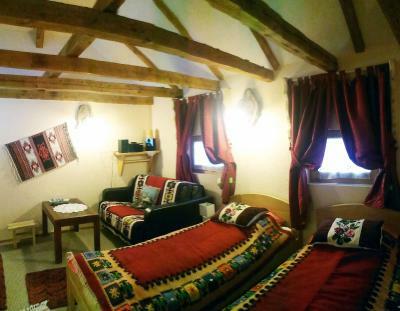 This room features a large double bed, as well as a private entrance and a private bathroom with a shower. This room opens up to a shared terrace. Featuring 2 large double beds, 1 on the sleeping gallery and another in the living room, this bungalow also consists of a bathroom fitted with a shower. The bungalow opens up to a shared terrace. 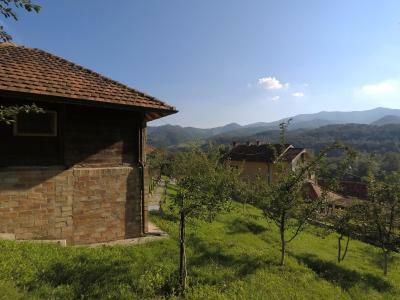 A new, authentic wooden cottages in typical Serbian rural household gives you an opportunity to meet Serbian countryside life. 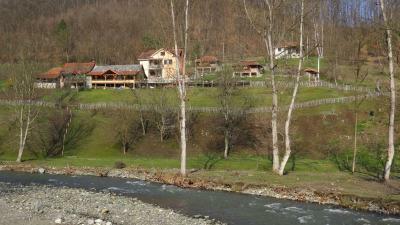 Household lays on the beach of mountain river and during summer season offers unique experience of white water swimming and diving. 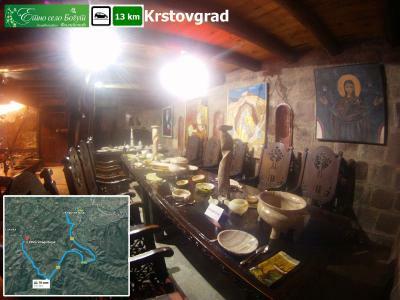 Traditional Serbian breakfast is included and other meals are possible if needed. 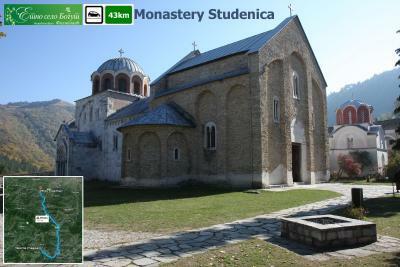 Only 4 km from regional road m-22 which is connecting Belgrade and Kosovska Mitrovica and if you are traveling to Montenegro this should be your stop on the way. 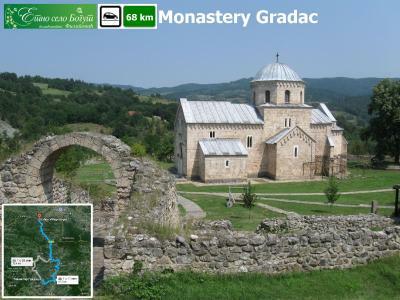 We are located 20 km from monastery Zica, 8 km from medieval fortress Maglic, 43 km from monastery Studenica. Welcome. House Rules Ethno Village Bogut takes special requests – add in the next step! 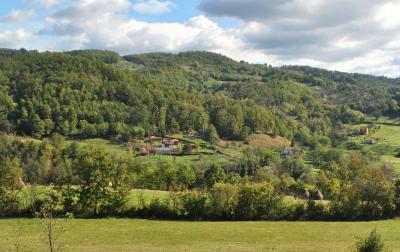 A quiet, place, about 4 km up into a valley. Very pleasant owners.